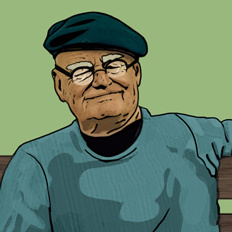 How can I strengthen my faith and hope for forgiveness without talking to my Bishop? I feel that I am so unworthy to receive faith. I believe that the Church is true. I am so scared that I won’t feel anything when I pray that I just don’t pray and ask the question I need. I am doubting God, and I hate to. I have committed the same sin over and over and keep apologizing but end up doing it again. This is why I feel so unworthy. What can strengthen my faith and help me get over my sin without talking to the bishop? I am scared to talk to him too. He has already paid the price. All that remains is for us to reach out to him, and keep reaching out to him for as long as it takes. As far as I can recall and reason, the Lord doesn’t command us to do things he wouldn’t do. So if we are to forgive repeatedly, surely he will as well. My hopeful friend, only Satan wants you to feel fear – fear that God won’t forgive, fear that you will never be free of this sin, fear of confessing to your bishop. But the Lord wants to to feel love – loved as a soul of great worth, loved as one who will be forgiven until seventy times seven, loved as one whose scarlet sins can be made white as snow. I will never forget President Lindberg’s compassionate smile when I looked up after I had finished reading. With some emotion, he told me that he felt it would be fine for me to resume partaking of the sacrament. As I left his office, I felt indescribable joy. When we confess our sins, a burden is immediately lifted because Christ takes that burden from us and begins to help us through the repentance process. 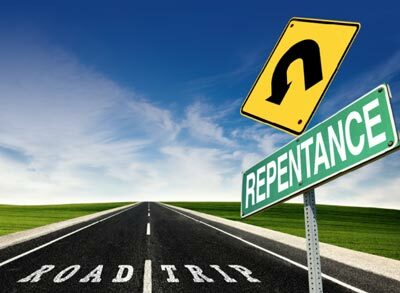 While repenting from a long-term sin is not a one-time or simple process, the act of humbling oneself sufficient to confess to the Lord’s representative, combined with the support of the Lord and that representative is truly a relieving, uplifting, and hopeful experience. Please don’t try to go it alone any longer. Reject Satan’s efforts to make you feel lost and alone. Reach out to the Lord through your bishop, and feel immediate comfort. My second answer is to relate an experience, not so unlike your own, of a close friend. I’ll quote her words here (with permission). I was struggling to change my heart, to overcome a particular temptation. With the help of my bishop, I felt like I had been forgiven of a particular sin, that while not serious, I had been unable to completely forsake without help. I also wanted to feel a complete change of heart, and I didn’t know how to change my own heart. I prayed every morning and every night to overcome this temptation and to have my heart changed such that the temptation was no longer appealing to me. Then, because I didn’t know what else to do, I left that burden with the Lord, and just did my best to obey the commandments. I repeated this prayer twice a day for years. After about three years, as I was falling asleep, I remembered how it was in the beginning, when I had started these prayers, and realized that the Lord had changed me. I had done my best to be obedient, I had prayed for this change, but I hadn’t made the change myself, and I hadn’t even been aware of it before that moment. Instead, bit by bit, the Lord had changed me, and not only in the way I had asked for, but also the Lord had taught me to be happier, to have a different perspective. I realized that I was very different from where I had been three years prior. So, have hope, my friend, for hope is what the Savior gives us. As my friend, Elder Renlund, and many others can attest, it will not be as bad as you think it will be. In fact, it will be a joyful relief. You will receive strength, help, and guidance as you go. While you do your best to obey, the Lord will change your heart, first with the help of your bishop, and then through the Spirit, as you continue your effort to receive blessings from him. Don’t give up, even if it takes years. This is a lifelong process we are all going through. 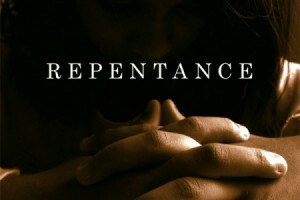 There is no reason to fear the repentance process, it is one born of love (see D&C 95:1). You have my prayers as well, and surely the prayers of many who will read this.